Waterloo Buildings were named as such in the 1851 census and were the two cottages next to the Oxford Inn in Waterloo Lane. They were not mentioned in any other record. 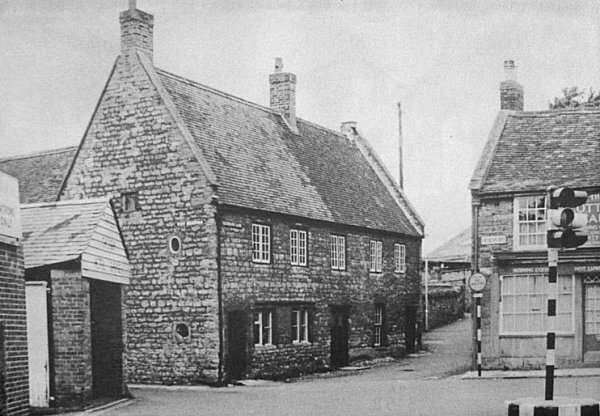 In the first photograph below, the Oxford Inn (operating since at least the 1830s) is the property on the left of the block of three, the other two cottages were 'Waterloo Buildings'. These appear on Watts' maps of 1806 and 1842. The second photograph shows the Huish end of Waterloo Lane and the building at centre was also known as Waterloo Buildings albeit at a later date. Originally four cottages, these are first shown on Hickes & Isaac's map of 1858. The Oxford Inn, by the 1940's of this photograph, was offices of Petter & Warren's architectural practice. Waterloo Lane runs off to right of centre between the Oxford Inn and the Cottage Cafe, while the narrow entrance to West Hendford runs off left between the Oxford Inn and the Three Choughs Hotel's garage buildings at extreme left. 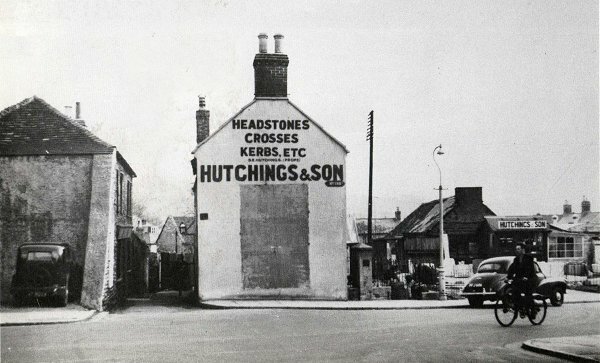 This photograph of 1956 shows the other end of Waterloo Lane seen from Huish. By this time the building at centre was called Waterloo Buildings. The building at left survives (see photo below) with Waterloo Lane to its right. 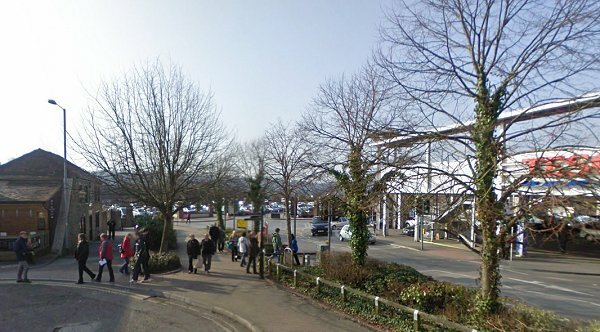 The building at centre, Waterloo Cottages, was lost with the development of Tesco's store. The same scene photographed in 2012.